Fire has the potential to increase the range and severity of Phytophthora dieback in native plant communities infected with the disease, suggests a study at the Stirling Range National Park near Albany. Department of Parks and Wildlife Albany and Murdoch University's Centre for Phytophthora Science and Management researchers surveyed eight sites infected with the soil-born water mould Phytophthora cinnamomi (dieback) on the range's lower eastern slopes in 2005 and 2006. Dieback has spread rapidly since it was first recorded in the park in 1974, with more than 60 per cent infested and 48 per cent of woody plant species susceptible to the pathogen. Prescribed burning is regularly used as a tool to reduce damage caused by wildfires. DPaW Albany Threatened Flora Conservation officer Sarah Barrett says the poorly understood relationship between the effects of fire on dieback activity and risk it poses to the park's endemic species prompted the study. 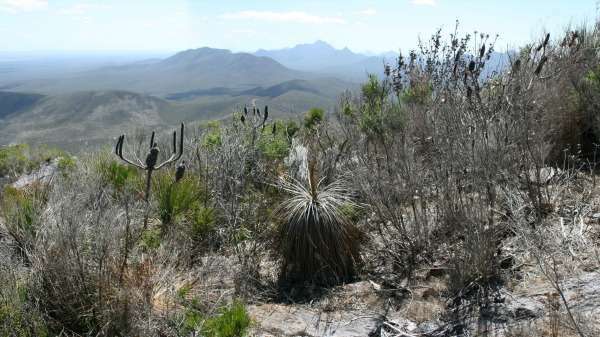 "There are some very unique plant communities that are highly threatened by dieback, such as Montane Heath and Thicket, and highly susceptible individual species such as Mountain Dryandra, (Banksia montana), Cactus Dryandra, (Banksia anatona) and Giant Andersonia, (Andersonia axilliflora)," she says. 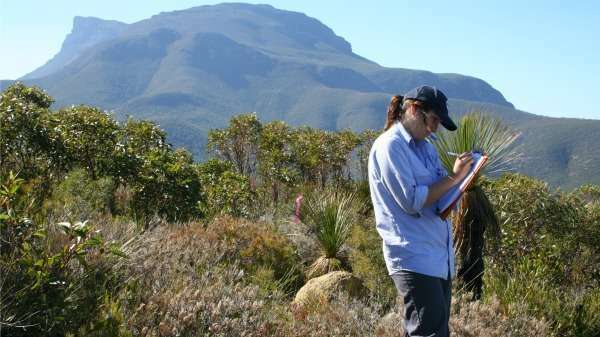 Murdoch University honours student Nicole Moore recorded the total number of plant species and individual plants of major plant families susceptible to dieback, including dead or dying plants, in 32 quadrats (800m2) across the eight sites. "She also sampled the soil's water-holding capacity and pH level, as other variables that may have contributed to the cause of death," Dr Barrett says. They used subset modeling to determine the correlation of latest and average fire interval with dieback activity. The results indicated the latest and average fire intervals best explained the variation in the percentage of dead and dying susceptible species among the surveyed sites. This indicates fire in dieback-infested plant communities has the potential to increase the disease's extent and severity. "The sites that were burnt most recently [in the last five years] showed the greatest impact of dieback and the sites that had two fires in close succession had a higher level as well," Dr Barrett says. She says the findings do not indicate prescribed burns should be excluded as a way to reduce the negative impact of wildfires. "However, it is important to take dieback into consideration when planning a burn…and to consider spraying these very rare communities after fire with the fungicide phosphite which helps susceptible plants to resist the disease."